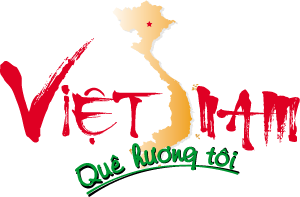 Labour exporting companies in the central province of Nghe An are having problems competing with individual recruiters, called co in Vietnamese. Some companies even have to rely on co, who will play as go-between for the company and labourers, to conduct their business effectively. 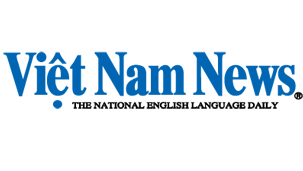 Nguyen Truong Giang, director of Nhat Minh International JSC specialising in labour export in the province, said that co helped recruit half the company's labourers. "We spent a lot of money and effort to go to rural communes to recruit workers but we were only able to recruit one. Meanwhile, a single co was somehow able to send us eight," said Giang. Other companies, such as the Viet International Labour JSC (Vilaco), set up a network of local recruiters to save costs. "We don't recruit every month, only when our overseas partners request workers. To maintain a team of recruiters in rural areas is very expensive. That's why we choose to employ co, who are mostly locals," said Vilaco's Director Luu Thi Ngoc Tuy. Yen Thanh District in the central province of Nghe An has 15 labour export companies, yet their recruiting methods have not proven effective. Pham Xuan Tuyet, head of Yen Thanh District's Department of Labour, Invalids and Social Affairs, said many companies came but were unable to recruit many workers. "They just came and announced they wanted to recruit some workers, then left. None of them tried to explain the advantages and benefits of going to work overseas," Tuyet said. Many labour exporters did not even make the effort to go to rural communes to recruit. Instead, they just stationed one person to answer the phone and set up their recruiting network of co. Vu Thi Linh, a Yen Thanh social worker who works in employment for the district, said she had not seen any recruiter from labour exporters show up at the local committee in more than ten years. "We could provide them with a lot of support and information, but they completely bypass and ignore the local committee," she said. Explaining the practice of employing local recruiters, Le Van Thuy of the provincial Department of Labour, Invalids and Social Affairs said that while many companies were licensed to export labour, it was not really their core business. "Lacking a long-term strategy and effective recruiting networks, they have no choice but to rely on co," he said. This has led to many problems. Workers recruited by co rarely receive language and cultural orientations before going to work in other countries; many are unaware of the type of work they will be doing. As a result, they struggle to adapt to the new environment. Nghe An sends 11,000-12,000 workers overseas annually and currently has 55,000 workers abroad who send home about $US110 million in cash per year.